The ability to have a floating (i.e. always visible) table of contents. Folding and unfolding for R code (to easily show and hide code for either an entire document or for individual chunks). Support for presenting content within tabbed sections (e.g. 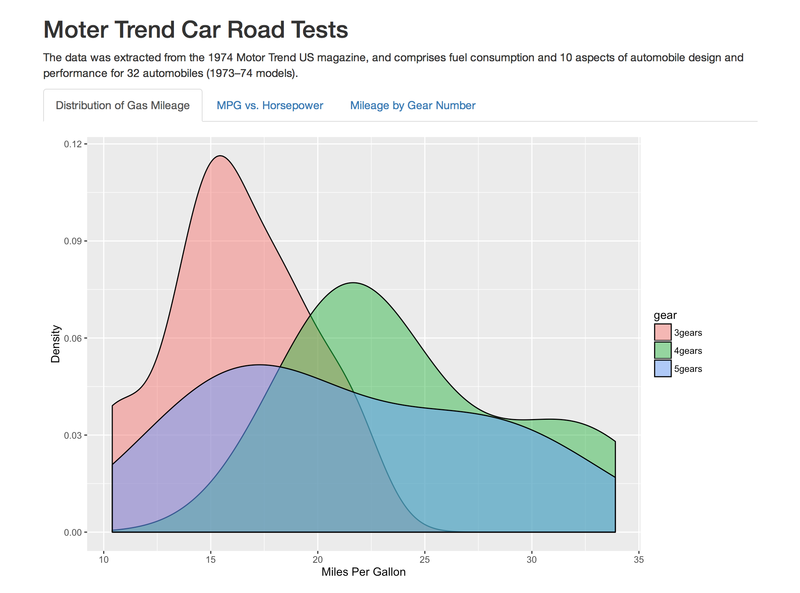 several plots could each have their own tab). Five new themes including “lumen”, “paper”, “sandstone”, “simplex”, & “yeti”. 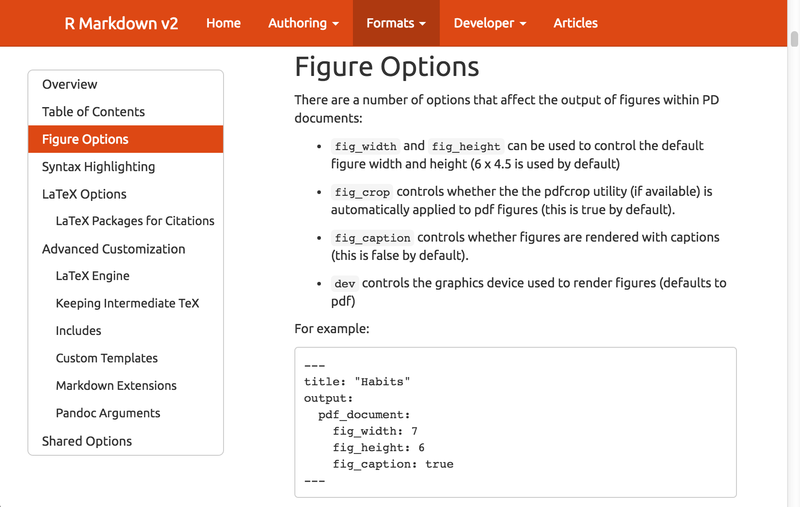 There are also three new formats for creating GitHub, OpenDocument, and RTF documents as well as a number of smaller enhancements and bug fixes (see the package NEWS for all of the details). When the knitr chunk option echo = TRUE is specified (the default behavior) the R source code within chunks is included within the rendered document. In some cases it may be appropriate to exclude code entirely (echo = FALSE) but in other cases you might want the code available but not visible by default. Here’s the default HTML document template with code folding enabled. Note that each chunk has it’s own toggle for showing or hiding code and there is also a global menu for operating on all chunks at once. Note that you can specify code_folding: show to still show all R code by default but then allow users to hide the code if they wish. 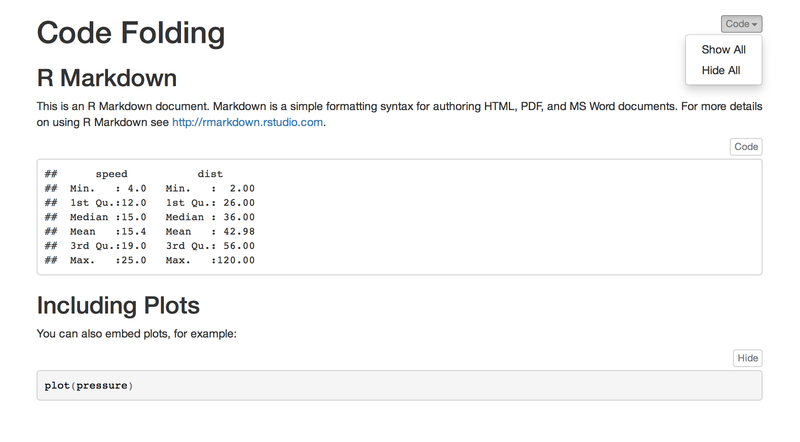 We’ve got lots of additional work planned for R Markdown including new document formats, additional authoring enhancements in RStudio, and some new tools to make it easier to publish and manage documents created with R Markdown. More details to follow soon!